Things haven’t been quite so easy with Electronic Arts since it acquired the exclusive Star Wars game license from the folks at Disney. Sure, the original Battlefront went very well when it came to sales, but its sequel, which released last November, was met with a great deal of controversy over its loot box system. In fact, it got to the point that Disney reportedly stepped in to force the company to cancel its Microtransactions right before the game’s launch. And then there’s the cancellation of another one of the company’s Star Wars projects and the abrupt closure of Visceral Games, which many fans questioned considering that it looked like a strong single-player game was in the works. EA reportedly preferred something multiplayer-oriented, and that didn’t help matters much either, making the company one of the worst hated in the industry. So now, in the midst of several petitions calling for EA to lose the Star Wars license, a new story suggests that Disney may be shopping the license around to other developers. Cinelinx reports that Lucasfilm is looking at other options, after taking EA to the “principal’s office” to discuss what was going wrong, while at the same time reaching out to both Activision and Ubisoft to see what they could offer in terms of Star Wars developments. Considering that Battlefront II has been performing below par in terms of sales – especially compared to the original Battlefront – there may be cause for concern. EA has noted in the past that it’s still getting along with Disney, and that the media calls the whole relationship between them overblown. But when it comes down to the bottom line, it would be easy to see why Lucasfilm would give other companies consideration. And, yes, we would totally kill to see an Assassin’s Creed style game with someone like Darth Maul. Just imagine it. 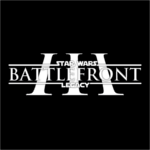 Neither Lucasfilm nor EA have said a word about this, so take it with a grain of salt. But considering everything that’s happened with Battlefront II – and the fact that EA wants to bring those bothersome Microtransactions back into the picture – don’t be surprised if there’s a shake-up down the road. I give it a 50-50 chance for now. I just hope that if Disney pulls the license, they rewrite it, and use some intelligence in doing so. Like, perhaps, making it not exclusive. Imagine that. In the end Disney would only care for sales and money. If someone's better at making/selling SW games, Disney will not hesitate to leave EA behind while managing details with another company. 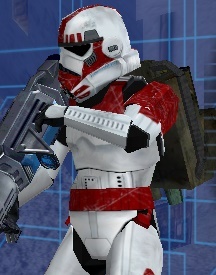 The best thing they should do is: Remake Battlefront III as it should have been; continue on cancelled games like 1313 or First Assault AND (generally) focus more on decent singleplayer stuff. Oh and maybe continue with TCW so the interest in TCW games would grow as well as general interest in future TV shows by Disney. Problem is that in this age people in general (aka actually publishers) don't feel like they get enough value out of something if it doesn't have multiplayer, thus it doesn't sell well enough. I mean short of Assassin's Creed-style games you can't drop so much money on a SP game. Still, I'm hopeful for this. An exclusivity deal with any publisher was bad in the first place. This can only be good for consumers if it turns out to be true. I think they should just go back to the Pre-2008 LucasArts model, licensing games out to various developers and not sticking with any one company. I think if they just make a contract with Activision or whatever we would just face the same problems we did with EA. * Plus, such a model could allow for a much greater variety of games, and maybe even give smaller studios a chance at becoming known by a larger audience, should LFL choose to commission them. And just imagine if Obsidian made another Star Wars game. *Though, I wouldn't mind them making a deal with Activision if it gives us a good Jedi Knight reboot.